What’s So Special about the Earth and Humans? Question: I was wondering why earth is so special? Why did Krishna manifest his pastimes here instead of some other planet? Well, what “other planet” should he appear on? Life is centered on Earth. Yes, there are many dimensions to the earth, sky, heavens, and under-earth, but these multi-dimensional realms (loka) are not literally identical to our modern astronomical conception of “planets.” The modern astronomical model is not the same model presented in the Purāṇa. It also describes reality, yes, but from a different point of view and for a different purpose. The Purāṇic point of view is that the Earth is the central focus of life, but there are many Earth’s paired with many Suns, each with their own “solar-system” (to use modern lingo) of multi-dimensional realms (loka). So if you ask, “Why did Krishna manifest his avatāra only here on our Earth,” the answer is that he does not. He manifests on every Earth in synchronous successions, such that his manifestation constantly appears on one Earth or another. Question: I also understand that the anti-gods have tried to capture the earth in efforts to further their advance on the upper heavenly realms. Does the earth really hold such a special place in the cosmos? 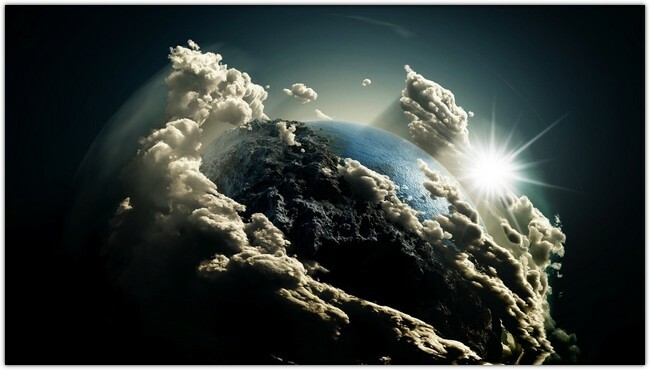 The anti-gods are not interested in Earth, but are interested in Paradise, which is a higher-dimensional realm connected to the heavens from our point of view – called svarga in Sanskrit. However, the earth is like a “mining colony” or “powerplant” for Paradise – because the humans here perform sacrifices which make the gods there more powerful. So, the anti-gods have a strategy to disrupt religion, sacrifice, etc. and thereby weaken the gods, making it much easier for them to storm Paradise. Question: Is bhakti available only here on Earth? The human form of life is unique. Only human beings generate karma. The rest of the forms of life are for experiencing the results of karma. Microbes, plants, and animals don’t generate karma because their intellect is not sufficiently developed to permit the possibility of true freedom of choice. Superhuman life forms (like gods and anti-gods, for example) do have very developed intellect, but don’t have much opportunity for choice between good/bad right/wrong because they mostly experience only good things and good situations. So, mokṣa and bhakti (liberation and divine love) are usually only achieved from the human incarnation (which inhabits “Earth” in the dimension we are familiar with). Of course there can always be exceptional individuals who do exceptional things in almost any species – but here I’m talking about the norm. Question: Does Kali Yuga only affect the earth or the universe? Does winter only affect the mid-latitudes or does it affect the entire hemisphere? It affects the entire hemisphere, but the mid-latitudes experience the effect the most dramatically. The polar latitutes are already cold all the time, and the tropical latitudes just get a little cooler but not much. Similarly Kali-yuga affects the entire multi-dimensional system, but the mid-dimension “Earth” as we know it, is affected the most dramatically. Next Is Aparādhā Bhajan Better Than No Bhajan at All?